Stanley Alan Kozlowski passed away on April 8th, 2019 at the age of 69. He was born in 1949 in Michigan City, Indiana to Michael and Rosalee as the youngest of four siblings. After high school, where he excelled as an athlete in football and track, he enlisted in the United States Marine Corps at the age of 18. He was assigned to Delta Company, 3rd Reconnaissance Battalion and served special missions in Vietnam. 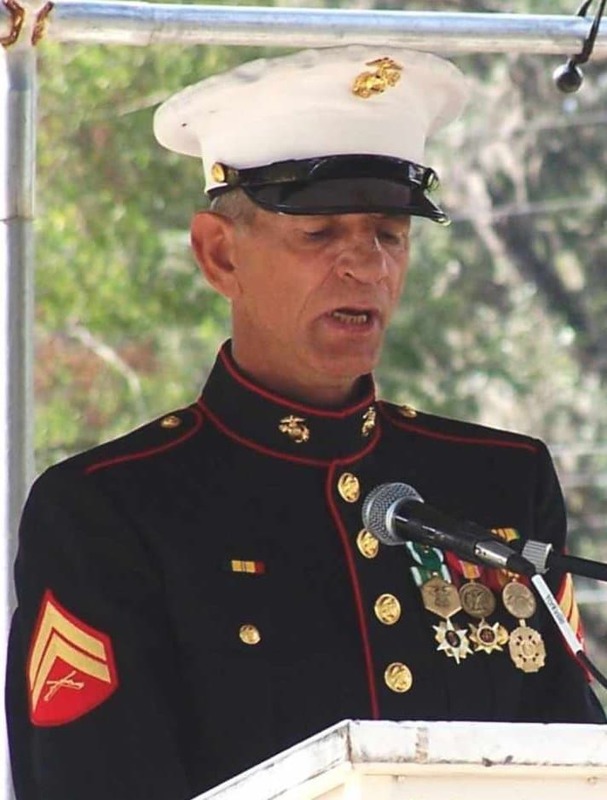 He was honorably discharged in 1971 having earned during his service the National Defense Medal, Vietnamese Service Medal, Combat Action Ribbon, Vietnamese Campaign Medal and Meritorious Service Medal. After his service, Stanley continued to honor and serve his brothers by taking leadership roles in the 3rd Reconnaissance Association, acting as Delta Company and later Association President for over 20 years. His love of athletics and competitive spirit continued long into his life, leading him to become a golfer and bowler and an avid sports fan. He loved his family above all, and was always kind, generous and supportive to family, friends and strangers alike. Stanley’s surviving family includes his loving wife, Andrea, son Todd, daughter Phoebe, and siblings Ed, Sandy and Steve. Many other family members and lifelong friends will remember and miss him. In celebration of his life, a Funeral Ceremony will be held at Bay Pines National Cemetery on April 18th, 2019 at 1030hrs. United States Marines as well as Marine Corps League Detachment 54 will render military honors at that hour. All family and friends who knew him along with fellow Marines are invited to attend and render a final salute. Arrangements handled by Veterans Funeral Care in Clearwater, FL. Sorry for the loss of one of your family members and a GREAT FRIEND of mine. My prayers are with all of you. I am so sad to hear about your loss. I hope all the good memories will help get you through this trying time. I have only known Stan for about 3 years ,Thru Bob Vitiello , who has been a Marine Brother and good friend for many years, Stan will be missed by a lot of people who he bowled with.. and all of his Marine Brothers..May you rest in peace in your father’s loving arms…..Bob and I will be with you on Thursday…. Just heard of Stan’s passing. We served together in Vietnam. I’ll see you on the other side brother.